Today author, Sylvia Bishop joins us to talk about where the idea came from for her book, Erica's Elephant. The initial idea had a very specific spark. I remember it clearly, which is unusual for me (I have to keep a diary or else I would have no idea what goes on in my own life). I had gone to Sussex for my sister’s wedding, and all the bridesmaids were staying together in this beautiful house. It had really good bannisters, the kind where you can poke your legs through the spindles, and sit there swinging your feet and looking down on a good view. It also had a two-storey mural of a jungle. That isn’t really relevant, but it was amazing. So, I was sitting on the landing with my legs swinging, when my housemate Dylan sent me a text thanking me for something, that promised me an elephant festooned with tea. The idea tickled me so much that I rattled off a page about it. Then I re-read it, and felt this enormous bubble of excitement. I scrapped the bit about the tea, but the Elephant and the excitement stayed. So much for starting it. Around halfway, I realised that I had no idea how it should finish. I spent a long time staring at elephant facts on the internet to try and get over the hump. I struck gold when I read that elephants can communicate with each other over huge distances, in low rumbles that humans can’t hear. The next few chapters untangled themselves immediately. As for the Very End: looking back, it is very obvious where that idea came from. A Big Event happens to Erica and her Elephant, and it had just happened to me and my friends two months earlier. But I am in danger of spilling spoilers, so that’s enough about that. I think the last thing to mention is the decoration: the smaller ideas along the way, that don’t really add to the plot. What fascinates me about these is that I keep realising more about where they came from, and discovering that my ‘new ideas’ were actually old. For example, Erica has to deal with the ‘Department for Exotic Animals and Hats’, who confiscate particularly bonkers headgear. It was only when I sent the manuscript to a very dear school friend that I was reminded that we had a running joke about my obsession with weird hats as teenagers. So a lot of the time I’m not really coming up with new ideas at all: they’re already lying around, and it’s my job to curate them. 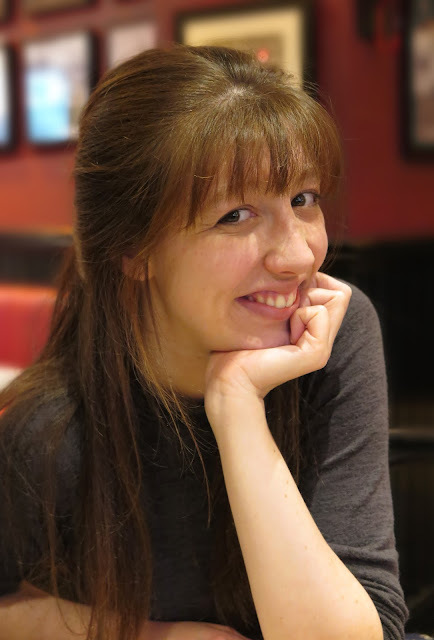 Sylvia Bishop is 23 years old and has recently graduated from Oxford. She is one half of the brilliant improvised comedy duo Peablossom Cabaret (www.peablossomcabaret.com). 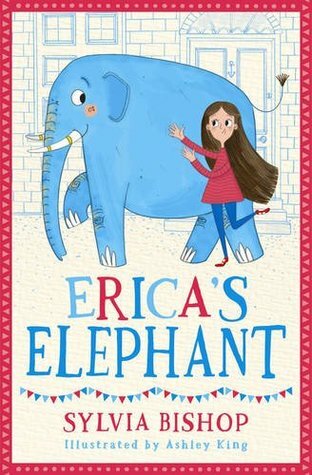 ERICA’S ELEPHANT is her first book, and she intends it to be the first of many quirky stories for young readers. Make sure you check out all the stops on the blog tour listed below.